With the support and commitment of our members, the Beekeepers Association (BA) has protected over 200 wild honeybee colonies over the past year through our swarm removal services. This is a significant contribution to our bee protection program! We would like to extend a big thank you to all our volunteering members, the residents who cared about the bees to protect them and the generous partners who provided safe relocation sites, including H.H Sheikh Ahmed Bin Hamdan Al Nahyan, in Abu Dhabi and The Sustainable City, in Dubai. In order to build on this achievement and expand the level of protection that we can offer to our local bees, the BA swarm removal program will be re-launched soon with a partner that will enable us to offer sustainable swarm removal services at a larger scale compared to our previous volunteer-based service. 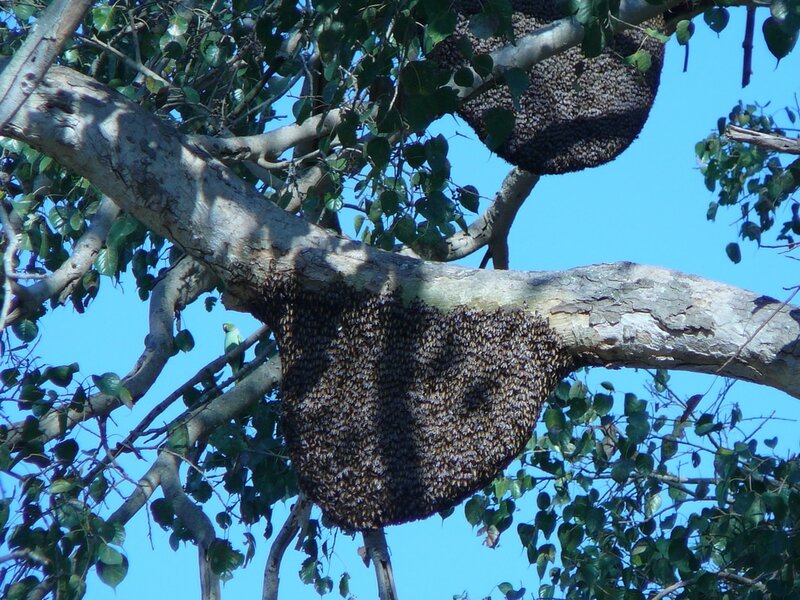 In the meantime, the program is temporarily on hold and we recommend referring to Dubai Municipality and and asking if they have an experienced team that can safely remove a swarm as opposed to killing it.